Skye Gravestones | Betsy (McKinnon) & John Matheson. Betsy (McKinnon) & John Matheson. 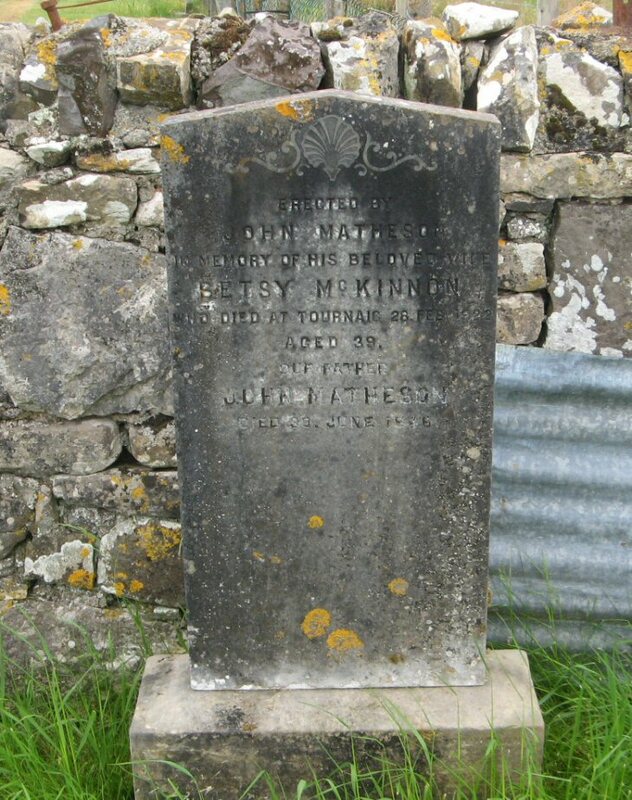 Erected by/JOHN MATHESON/in memory of his beloved wife/BETSY McKINNON/who died at Tournaig 28th Feb. 1922/aged 39/our father/JOHN MATHESON/who died 30 June 1946.